Perhaps the biggest transformation in enterprise IT since the public cloud emerged is the move toward “mobile-first” application development. As mobility continues to become the new enterprise standard, developers are looking for frameworks that provide the tools they need to create innovative mobile applications without sacrificing their existing investments. While there are proven, enterprise-ready frameworks and platforms for developing and deploying traditional desktop applications, the mobile application development landscape is still evolving. 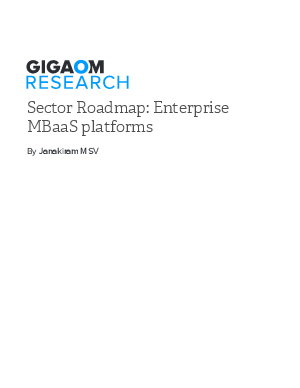 Mobile Backend as a Service (MBaaS) attempts to fill the gap between traditional application platforms and mobile applications. It is the new middleware, exposing APIs and functions that enable developers to rapidly build new mobile apps and mobile-enable legacy enterprise applications.